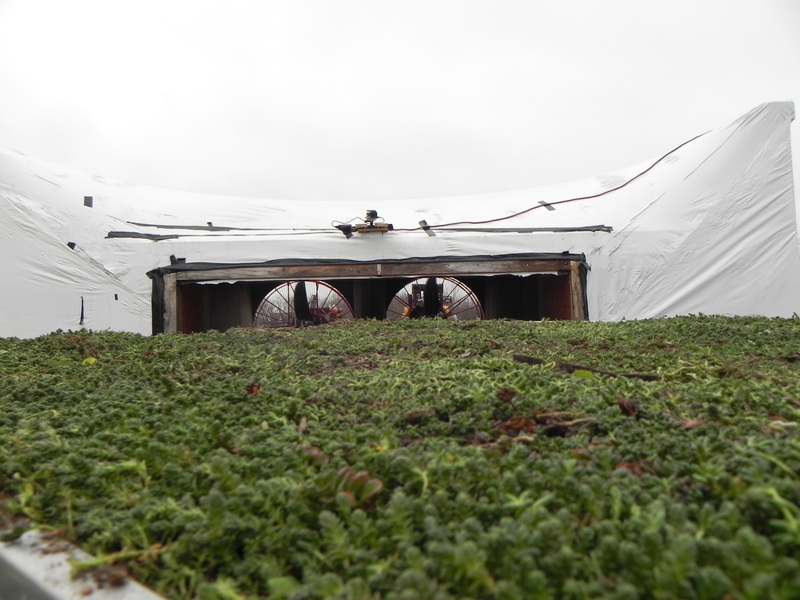 Next Level Stormwater Management (NLSM) was a key partner with the National Research Council of Canada (NRC) and industry partners, in developing the Canadian Standard Test Method for Wind Resistance of Modular Vegetated Roof Assembly – the first such test in the world. LiteN’Less Vegetated System stays in place at 200 km per hour. NLSM has had numerous vegetated systems tested at the NRC lab in Ottawa, Ontario and at CLEB laboratory’s outdoor facility in Montreal, Quebec. Additionally, NRC field monitoring testing was done at the Humber College in Toronto, 5 km from Toronto Pearson Airport. Next Level Stormwater Management was key in the development of the Standard test method for the dynamic wind uplift resistance of membrane-roofing systems. 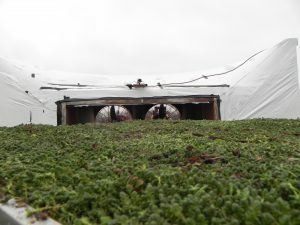 The video below shows an NLSM lightweight vegetated system subjected to 200 km per hour winds.